Street: 1750 N. Collins Blvd. Pillar Construction Texas LLC is Richardson roofing contractor that is awarded as best roofing company in Richardson TX, and its surrounding cities. Call us NOW at 214-293-3904. 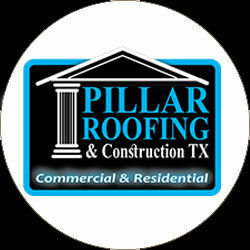 Pillar Construction Texas has been family owned and operated since 2004. Our highest priority is being the Best Roofing Company in the State of Texas, with total customer satisfaction, the highest quality workmanship, and all with impeccable integrity. Our committment is to offer the best warranty and products in the business that help our customers save money on green roofing products.